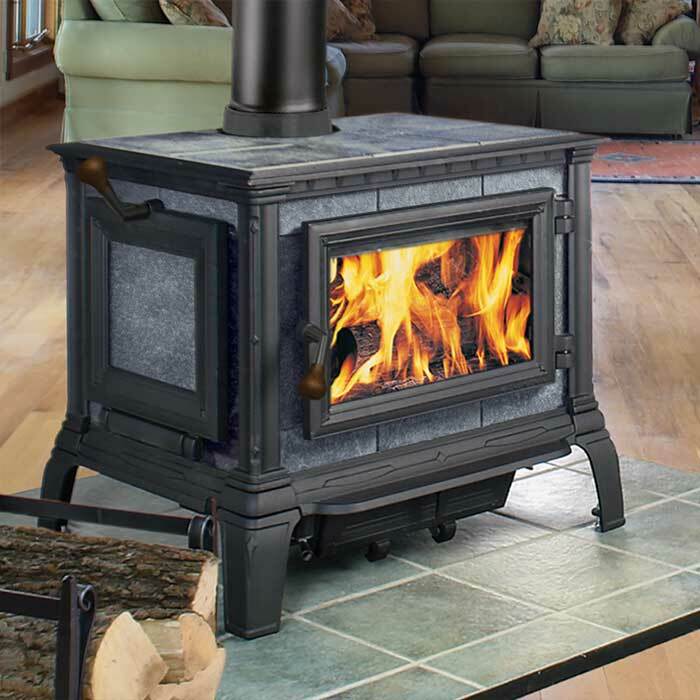 Soap stone wood stoves are designed to bring homeowners a unique and beautiful look paired with unbeatable radiant heat. 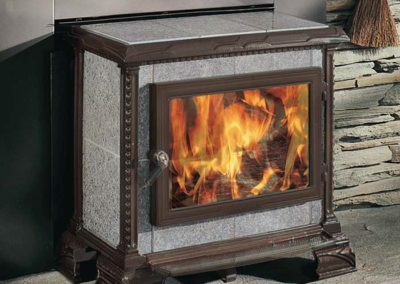 The soap stone material itself absorbs the heat put out by the fire and radiates it into the home for long-lasting, consistent, comfortable heat, using less wood. 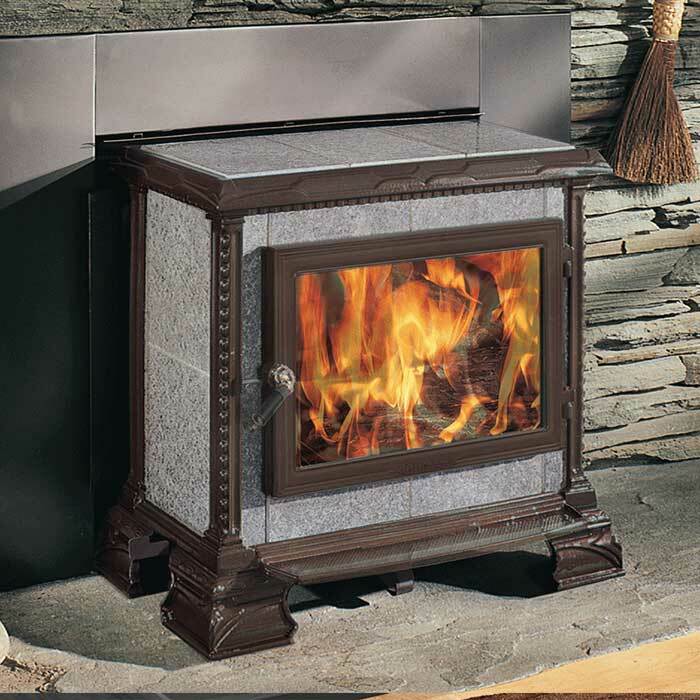 Why Go With Soap Stone? 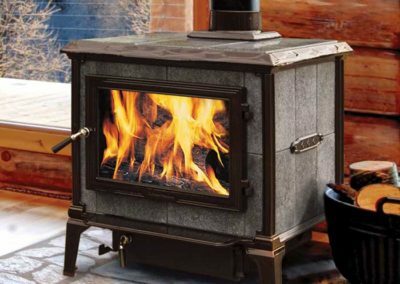 Due to steel’s radiant qualities, sitting close to a steel stove can be intense, while soap stone provides a more gentle and consistent radiant heat. 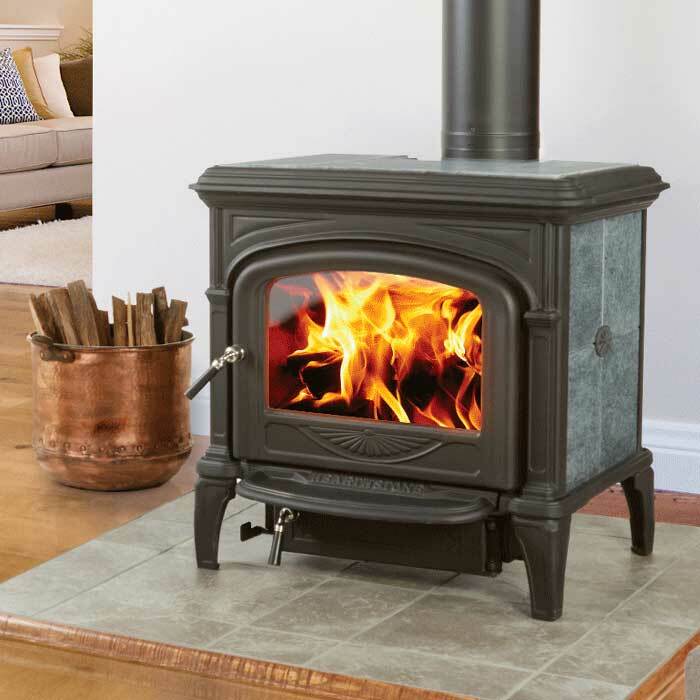 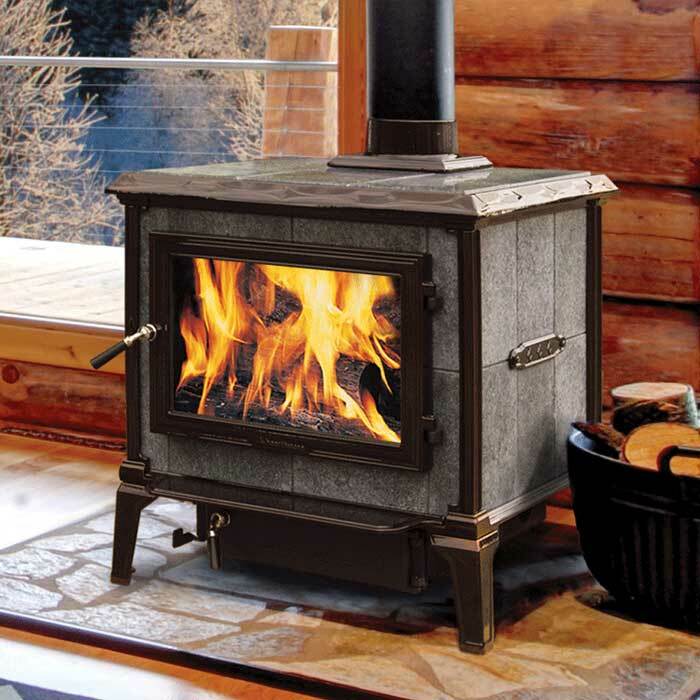 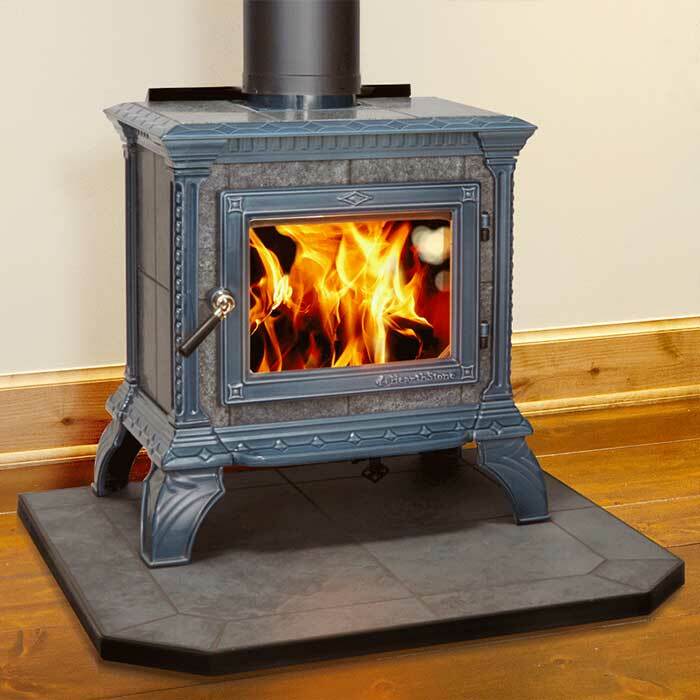 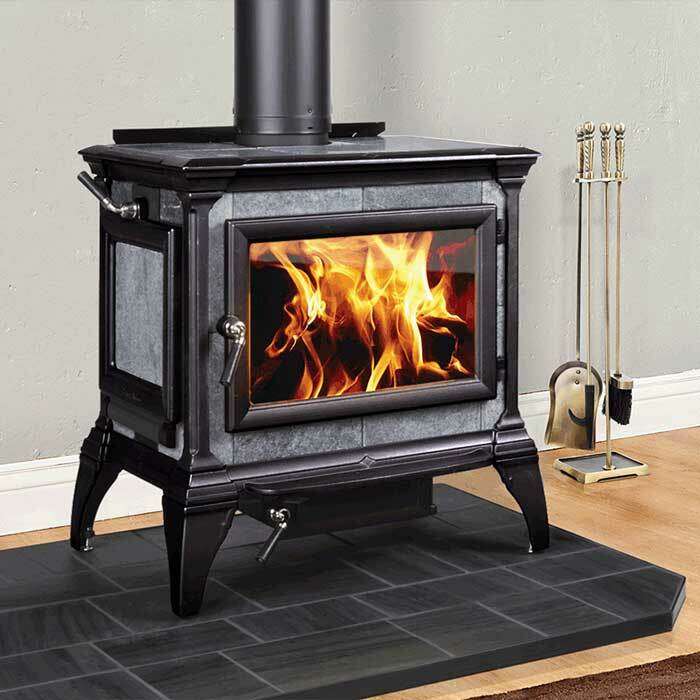 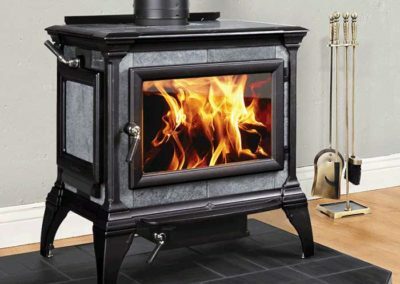 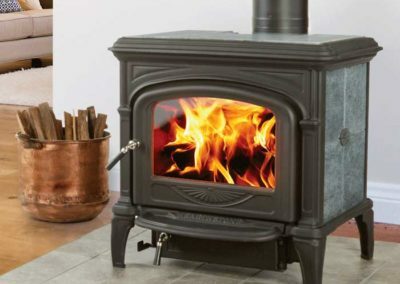 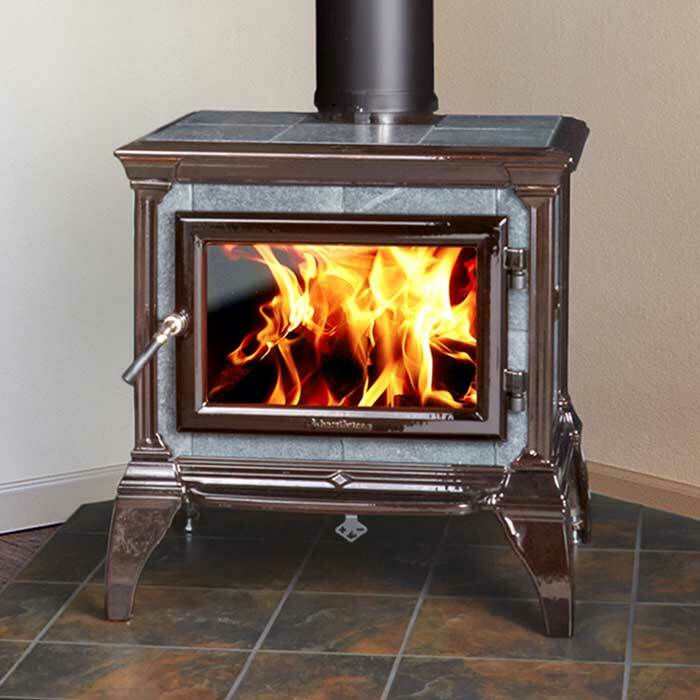 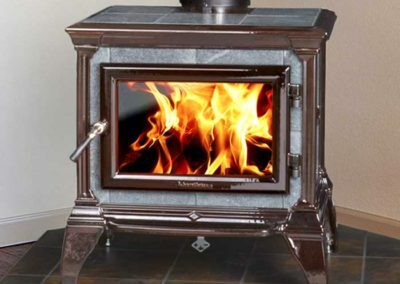 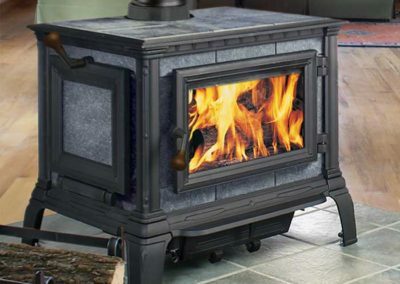 Because of this consistent, long-lasting radiant quality, soap stone stoves are great for homeowners who want their stoves to heat their homes for hours without tending, or who are looking for a stove capable of providing overnight heat. 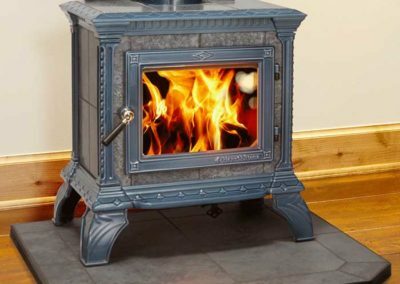 And since the stove will still be hot hours after the fire dies down, it’ll be easier to restart the fire when you’re ready.